If you are considering Mortgage Protection Insurance then there is at least one new term you should become familiar with right away; Medical Bankruptcy. A Medical Bankruptcy is a bankruptcy that results from excessive medical expenses. 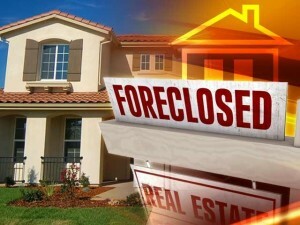 It is the #1 cause of home foreclosures in the United States. 62% of all bankruptcies and 49% of all foreclosures in the United States are Medical Bankruptcy’s. 48% of all small business failures are the result of a Medical Bankruptcy. 75% of all people who declare a Medical Bankruptcy had health insurance. The last statistic bears reading twice. There have been numerous more recent studies that confirmed the initial studies of 2001 and 2009. All point to the fact that the #1 cause of foreclosures in the United States is the inability to financial recover from the financial consequences of a major medical event. But, this web page is not meant to be a research paper. The point we are making is simply this; if you want to protect your home ownership, then the Mortgage Protection Insurance you purchase must protect you from the #1 cause of foreclosures, the combination of unexpected bills and reduced income that result from a major medical event. As noted in the statistics above, these are bills not covered by your health insurance. Not all Mortgage Protection policies are equal. Many still only cover you against premature death. Only a few years ago the only Mortgage Protection Insurance you could purchase protected your family in the case of your premature death. Nothing more. Today’s top Mortgage Protection Insurance policies also protect you against the financial consequences of a major medical event. Your coverage includes being paid your benefit in the case of invasive cancer, heart attack, stroke or other critical illness and well as chronic illness and severe accident. The Average Age of a Major Medical Event Is 45! The probability of falling victim to one either a critical or chronic illness is significantly greater than premature death. In fact, the insurance industry actuaries estimate that 75% of all U.S. citizens living today will fall victim to a covered critical or chronic illness in their lifetime. Now, here is the scary part. Today, the average age of a person experiencing one of these critical or chronic illness events is just 45 years of age. That means that half the occurrences are younger than 45 and half are older. It should be no surprise then when we tell you that the average age of a foreclosure and bankruptcy in the U.S. is 46 years of age; one year after the medical event. That is why a Mortgage Protection Insurance policy that covers both premature death and critical or chronic illness is so important to every homeowner. Mortgage Protection Insurance or GoFundMe.com? Don’t believe us? Please, do yourself and your family a favor. Check out a website called GoFundMe.com. This is a site where people in desperate need of money can reach out to friends, family and strangers to help fund them. Warning: I can’t visit Gofundme.com without my heart breaking more than once. These are incredibly heart wrenching stories and I find myself contributing. You may experience the same emotional heart brakes. to look at how many people, young and old, need funds due to the cost of medical events. Not all these people have insurance. The message here is simply that a medical crisis knows no age, and if you and your family are not covered by insurance you are at the mercy of benevolent strangers. 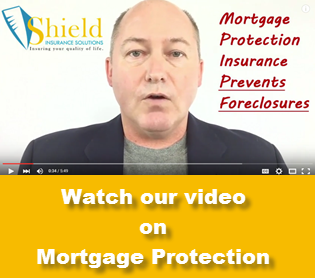 Mortgage Protection Insurance Is Affordable! One of the great things about the new Mortgage Protection Insurance is that it is very affordable. In fact, it cost no more than regular term life insurance. How do they do that? The concept is simple. If you think of it as a life insurance policy, then once you get ill the insurance company is simply obligated to provide you your death benefit early. In order to mathematically account for providing you money early, they simply apply a time value to the money. This is the same concept used if you won $10 million in the lottery. That $10 million is an annuity value that is to be paid out over 20-years. If you wish to collect the entire winning in a lump-sum, the lottery gives you an amount somewhat less than $10 million to account for the fact you have it today and not over 20-years. The bottom line, the cost both to the insurance company and you is no more than a basic fixed price term life insurance policy to get today’s enhanced Mortgage Protection Insurance policy. The video below shows where this idea came from and is an incredible story of compassion and ingenuity. Isn’t All that Covered By Health Insurance? Everyone’s health insurance is different. But, few health insurance policies cover all medical related expenses. Even more, all major health insurance policies pay the doctor or hospital, not you. Mortgage protection Insurance pays you! While there are a lot of different circumstances that can lead to a Medical Bankruptcy and foreclosure even if you have health insurance, there is one example that comes to mind because it happened recently and very close to home. Let’s say you get an invasive cancer or maybe an aggressive leukemia. You have chemotherapy. Even with health insurance, chemotherapy can costs tens of thousands of dollars. In addition, you may need to stay in the hospital for 60-days or more, without work. Or, you are treated in-home where you cannot work, but are not in a hospital. Many health insurance policies do not even cover in-home healthcare or skilled nursing care. None of the health insurance policies cover your lost work or reduced income. In addition to the increased bills, your spouse may need to spend more time with you rather than at their own work. The lost income puts a strain on your family, the increased medical bills take their toll. This is why nearly two thirds of all foreclosures in the U.S. occur as the result of unexpected medical bills, and 75% of those foreclosures included people with existing health insurance. You need mortgage protection insurance to keep you and your family in your home. 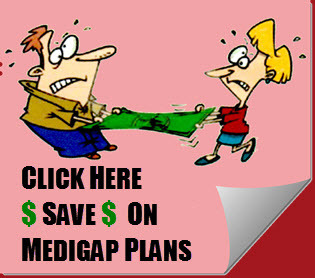 You need it to protect their quality of life and protect your family from Medical Bankruptcy. Take the next step. Get a quote today! We shop your needs with all the major carriers that offer the enhanced living benefits to make certain you get the best price and value.